Team KRPR check in with a new client and we are delighted with the business win! The media and communications for one of England’s most historic hotels will now be handled by us here at KRPR further adding to our wealth of experience in the hotel and hospitality industry. With its doors currently closed for refurbishment, the hotel’s parent company, Crest Hotels appointed KRPR to handle all pre and post opening PR and social media as well co-ordinating the hotel’s re-opening over various stages. Since coming on board, KRPR have already assisted with the new ownership announcement and Kara Rose, MD said: “I am delighted the agency can be involved with such a notable and iconic hotel. 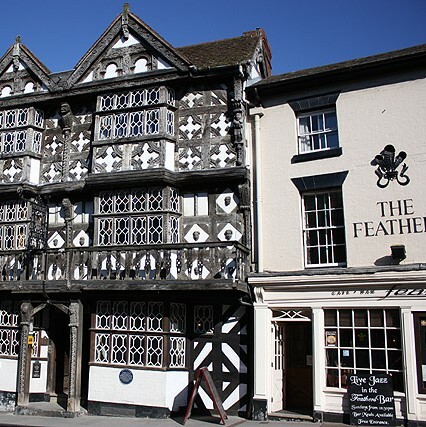 The hotel, which dates back to 1619, is steeped in history and nostalgia and we can’t wait to start seeing footfall through the doors once more. Since conception KRPR has worked with hotels and hotel brands including Park Inn by Raddison, Hampton By Hilton, Valor Hospitality Europe, Crowne Plaza, Holiday Inn, Best Western and Squire Hotels amongst others and is therefore perfectly placed to support the re-opening of The Feathers Hotel.